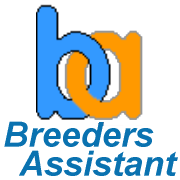 Use this option if you don't already have the full (paid) version of Breeders Assistant. Use this option if you already have a full (paid) version of Breeders Assistant, and you want to buy a support/updates extension or switch to a different edition (e.g. switch from Personal to Professional Edition). If you want to buy a different version (e.g. you have the Cat version, and now you want to get the Dog version) then you should choose 'New Customer'.